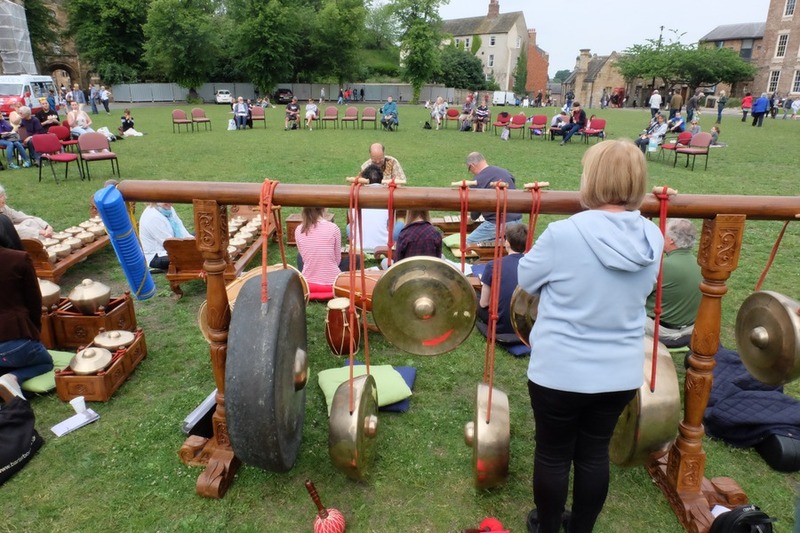 As part of an event organised by Music Durham and Durham Festival of the Arts, we played in an outdoor concert in brilliant sunshine on 9th June, alongside a selection of brass and concert bands. 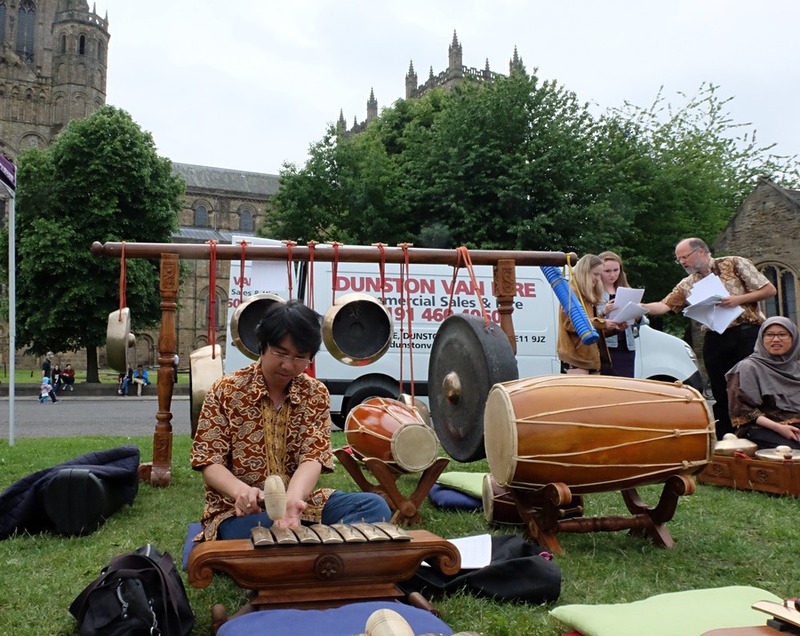 There were also workshops in circus skills and face-painting — and a gamelan workshop for the audience to learn a piece of Javanese music after we’d finished our performance. 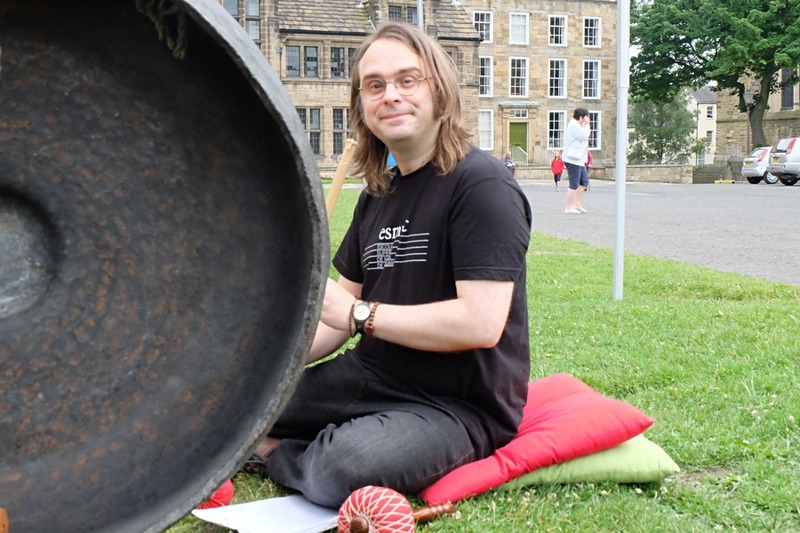 Does playing the gong make everyone smile? 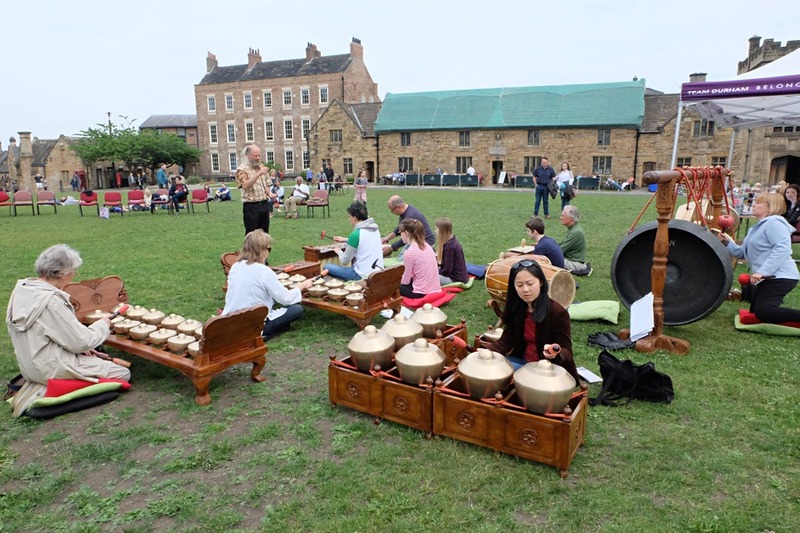 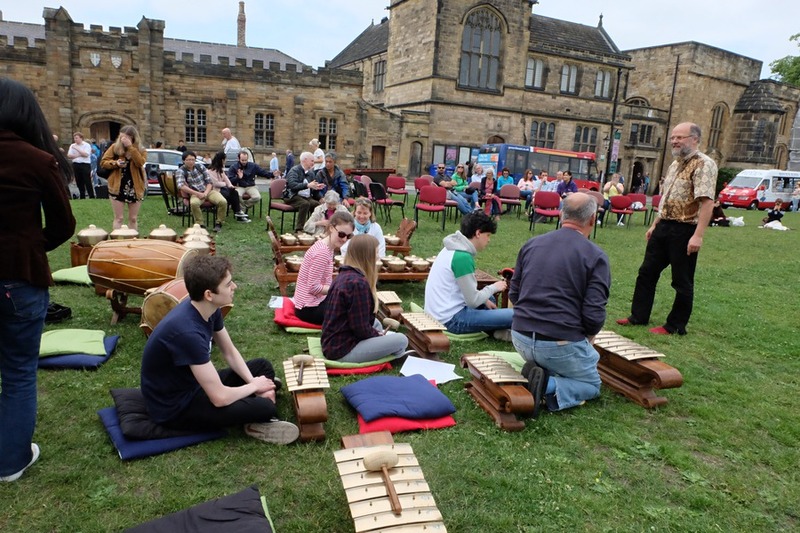 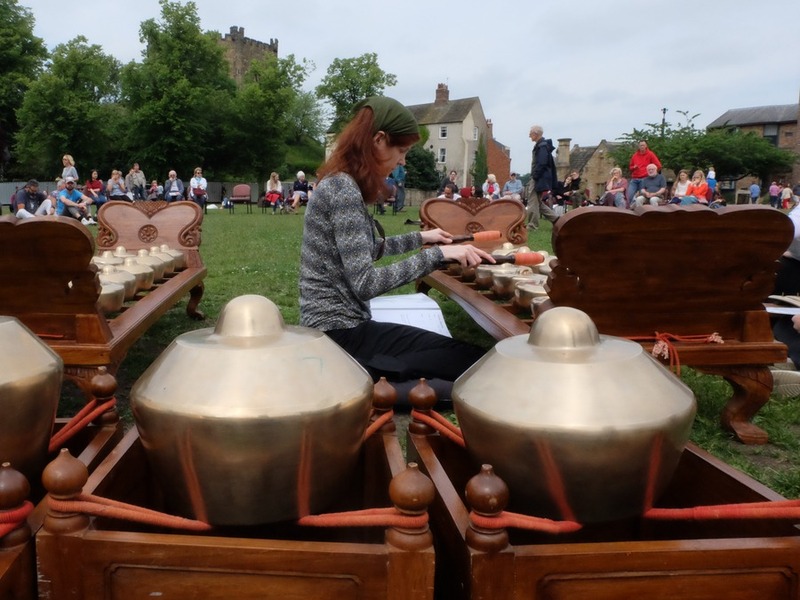 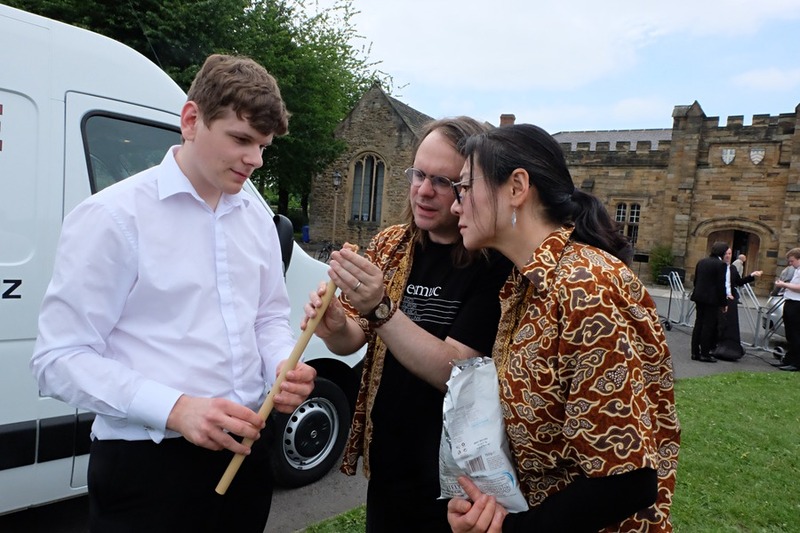 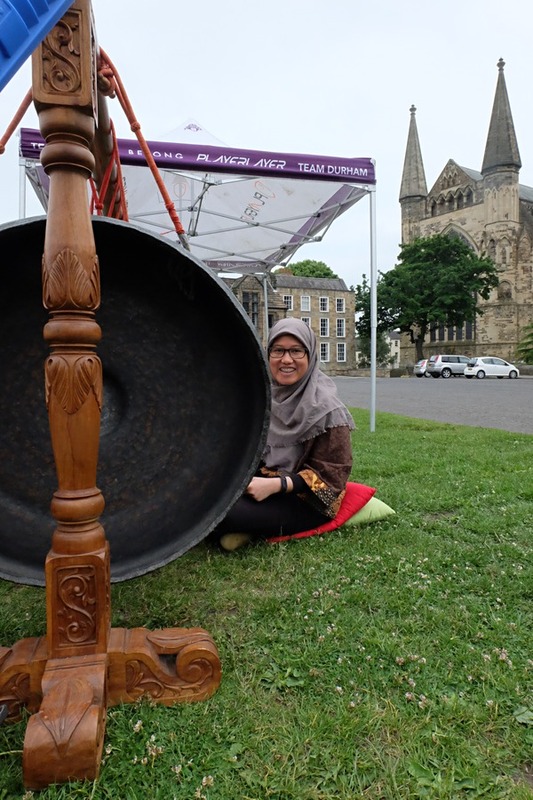 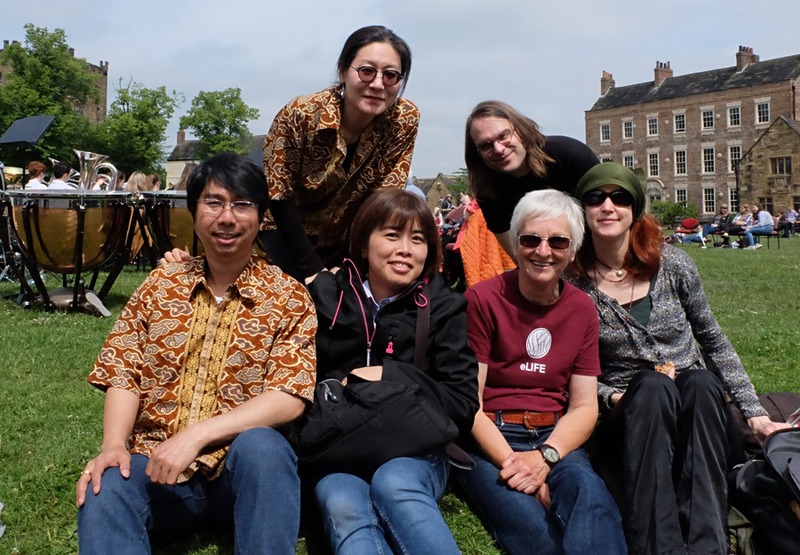 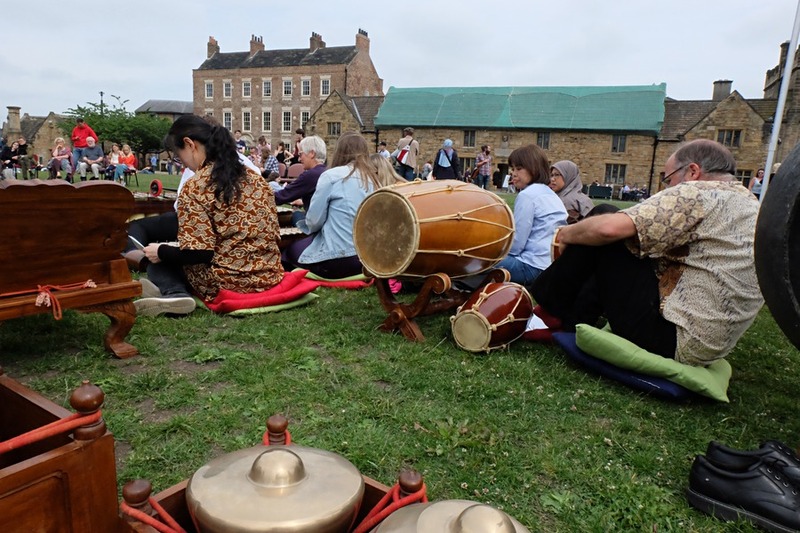 This entry was posted in News and tagged Durham gamelan, gamelan concert on 21st June 2018 by Helen.